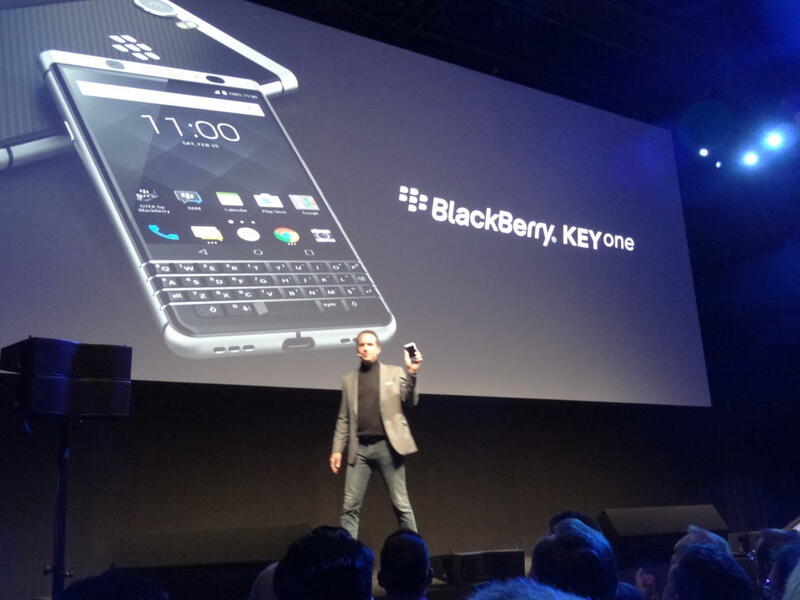 The new BlackBerry KEYone smartphone, unveiled Saturday, is the first smartphone to carry the brand that doesn't come from BlackBerry. It will go on sale globally in April, said Nicolas Zibell, CEO of TCL Communication, the phone's manufacturer and licensee of the brand, at a launch event in Barcelona on the eve of Mobile World Congress. Like the BlackBerries of old, the KEYone has a physical keyboard with raised keys. A neat twist is that it also acts as a touchpad of sorts, and each letter can be used as a shortcut, with a short or long keypress, for 52 shortcuts in all. "Imagine, F for Facebook or U for Uber," said Logan Bell, senior product manager for BlackBerry Mobile. 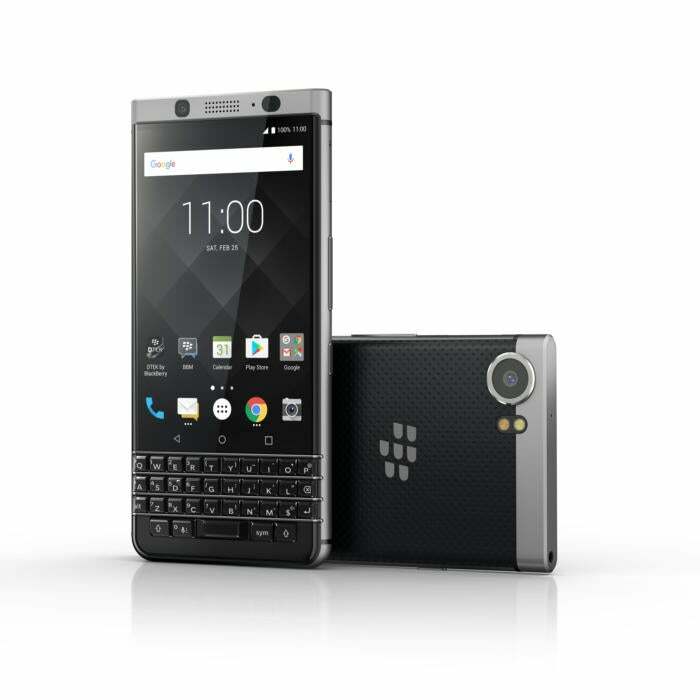 With BlackBerry the company focused tightly on the enterprise since CEO John Chen took over, TCL is hoping to use the KEYone to reposition the smartphone brand as something not just for the enterprise, but also enterprising consumers. "It's designed for more than just enterprises: It's for professional consumers, achievers, people looking for something different," said Bell. The phone has a monster battery -- 3505 mAh, the largest ever in a BlackBerry smartphone -- and a fast-charging mode TCL calls Boost that puts the phone into a power-saving mode while it charges. Behind that name is Qualcomm's QuickCharge 3.0, said Pete Lancia, a Qualcomm Vice President. The KEYone runs Android 7.1 (Nougat) and has a custom interface including BlackBerry Hub, which pulls messages from email, texting and social media accounts into a single inbox. TCL and BlackBerry have tweaked the stock Android code to make it more secure, and added a special security dashboard, DTEK, which allows users to check what security permissions each app has requested, said Alex Thurber, a BlackBerry Senior Vice President and General Manager of BlackBerry Mobility Solutions. "We're committed, with TCL, to bring out monthly security updates," said Thurber. "It allows individuals to be as private as they want to be with their information and their smartphone." Inside, the KEYone has a SnapDragon 625 processor, an Adreno 506 graphics chip, and an X9 LTE modem from Qualcomm, an 8 megapixel front camera and a Sony IMX378 camera sensor powering the 12 megapixel autofocus rear camera. Outside, it has a 4.5-inch, 1620x1080 pixel display covered with Corning Gorilla Glass 4 above the keyboard, and a rubberized non-slip back. It will sell globally from April, Zibell said, for under €599, US$549 or £499.